If you have been wanting a speaker dock for your iPhone, iPod or iPad, check out today’s top bargain on Amazon.com! Today only (or while supplies last) you can score up to 62% off on select Philips speaker docks. 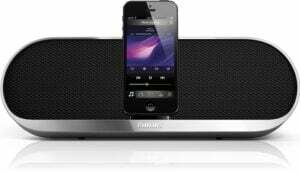 The Philips DC291/37 30-Pin iPod/iPhone/iPad Alarm Clock Speaker Dock is only $44.99 (Regularly $119.99) with FREE shipping. 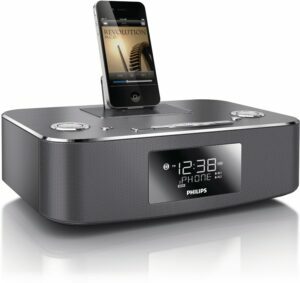 Also, the Philips DS7580 Speaker Dock for iPhone 5 is marked down to only $79.99 (Regularly $149.99!) with FREE shipping.